Using grammar correctly in English can sometimes feel like a maze without an end. But don’t worry. It takes practice and soon enough you will know the rules well enough to swim the grammar sea with ease. Check out Grammarly.com for more useful hints! 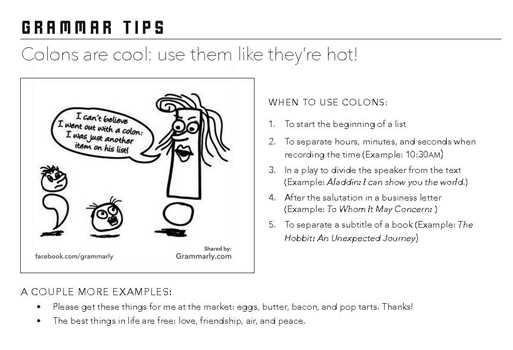 Here is the pdf handout from our last grammar lesson in case you would like to see it again. This article was written on 10 Jan 2013, and is filled under Grammar Tips, In Class.